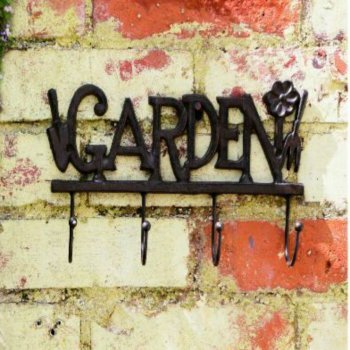 This great looking cast iron tool hook from Ruddick Garden Gifts has four hooks for you to either hang tools on or keys or anything really. The word Garden is spelled out which makes it ideal for the garden shed or utility. A brilliant gift idea for gardeners everywhere.